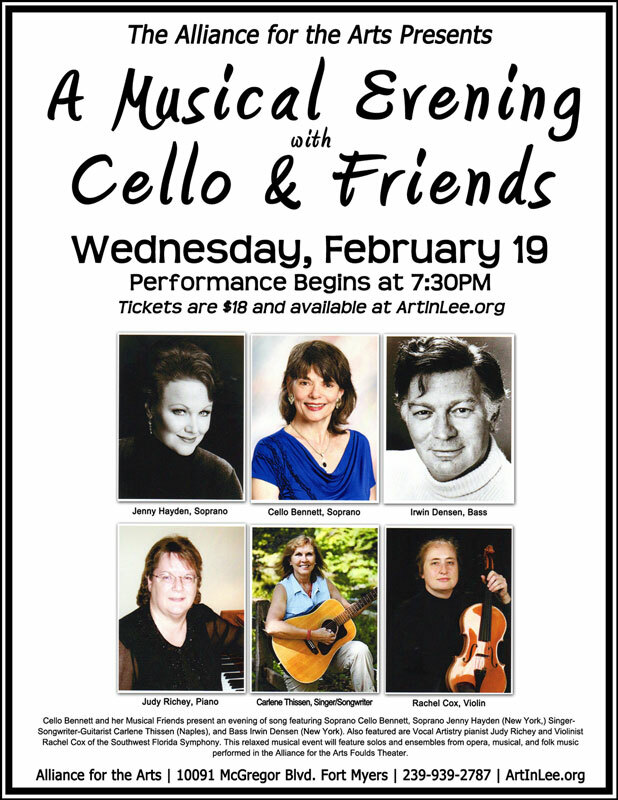 February 19 is ‘A Musical Evening with Cello & Friends.’ This specialconcert event will recall and recreate the beauty and charm of Gale and Cello’s ‘Musical Evenings in Giverny.’ a popular part of their ArtStudy Programs at Monet’s estate outside Paris. Long before those heart-warming Giverny occasions, Gale was born in West Palm Beach in 1939. At age 2 he moved with his family to Fort Myers, where he was captivated by nature’s diversity and glory: “There was a solitude in Florida back in the old days that came from a vast expanse of nature,” he used to recall. “It used to be impossible to drive down McGregor Boulevard without seeing red-headed woodpeckers – not the pileated ones, but the little red-headed ones. I’d see swallow-tailed flycatchers up on the wires. A lot of the wildlife we used to see we don’t see anymore. That’s fading away.” Gale’s early experiences of nature remained a lifelong foundation, shaping his artistic sensibilities, vision and work. In 2004, he commented, “My painting started early in life as a love of wildlife and birds even more than art. My mother encouraged me when I was a little kid. She would buy me coloring books. And I remember if I was really good, she would let me use her fountain pen and her good paper to practice drawing little palm trees in pen and ink.” He added, “To this day, I think you could say John James Audubon and Walt Disney were my two biggest influences in the art world. 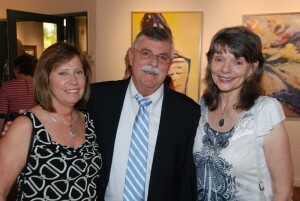 I’d never heard of Van Gogh!” Years later, Gale left Fort Myers for New York City. “I went there [to the School of Visual Arts] on a scholarship.” He noted, “I’d done a series of murals down here on hotels and restaurants the last couple of years of high school. I took pictures of those with me and I got a working scholarship; I worked in the admissions office part time. “When I first came back to southwest Florida in ‘68, I started out teaching in my home. Then I started a school in the old Patio de Leon downtown. It actually did pretty well. Once a month on a Sunday afternoon we’d have an opening and we’d get about 300 people in there. I think we were the first real gallery in Fort Myers.” Responding to ‘popular demand’ for creative commercial services in the area, Gale Bennett Associates became an active ad agency, earning over 100 Addy Award nominations, and winning an Addy for Creative Commercial Announcement and an Emmy for a Shallows restaurant TV spot. “I always painted between 30 and 40 paintings a year and I kept doing that, going back and forth between the two realms,” he explained. “The weird thing about it? I was like living two lives and I didn’t have time to teach. When you run an advertising agency, you don’t have much free time.” Still, during the 10-plus years Gale ran his agency he had two retrospective exhibitions of his paintings. One at the Alliance of the Arts, as it was called in those days, was the first show they ever had. It was in the old Schulz farm house. I remember walking in and seeing all the pillars breakinging up the house and thinking to myself, ‘Where am I going to have room to hang all these paintings?’ But it worked out.” Years later, after closing his business and devoting full time to teaching art, Gale was hired to teach a workshop in a lodge within Claude Monet’s magical ‘refuge town,’ Giverny, France. He recalled, “I was there just a few weeks and I came back and spent two years trying to figure out how to live there. 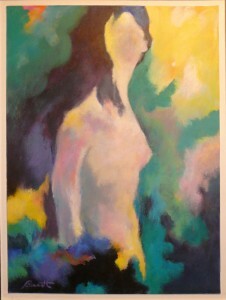 Eventually, I went back in 1995 to negotiate with the owners of the lodge and with the Monet Foundation. I worked out a deal with both of them and in 1996 started my ArtStudy/Giverny summer school programs.” Gale continued offering those worldrenowned sessions for the rest of his life, teaching Impressionism to artists around the globe. Although he frequently declared, ‘I am not an Impressionist,’ Gale certainly understood Impressionism. He could explain and demonstrate it, paint it, and teach it like no other artist on earth. His death on Easter Sunday, March 23, 2008 was fittingly followed by a celebrated final memorial exhibition at Giverny’s Musée Baudy in the Spring/Summer of 2008. 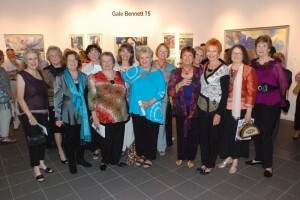 Now, you can take part in the Alliance for the Arts’ newest loving celebration of Gale Bennett’s life and career, and see for yourself many of the paintings that made him a living, working, teaching artistic luminary on both sides of the Atlantic Ocean and an internationally revered Master Artist the world over, now and forever. 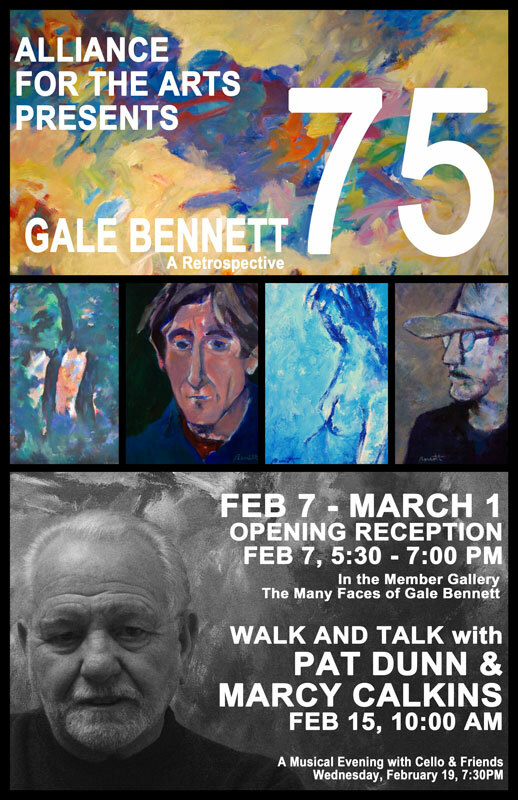 Gale Bennett 75 will be on view at the Alliance for the Arts February 7-28. The galleries are open Mon-Fri 9am-5pm & Sat 9am-1pm. Admission is free. 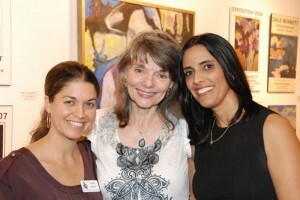 The opening reception February 7, 5-7pm is free and open to the public, as is the gallery ‘Walk & Talk’ February 15. Alliance for the Arts is located at 10091 McGregor Blvd. in Fort Myers. For more information, call the Alliance at 939-2787 or Cello Bennett at 646-220-4897.
there was a charming French village called GIVERNY. For 40 years it was home to Impressionist master Claude Monet, who was often visited by American Impressionist painters such as Theodore Robinson and Mary Cassatt, Then, in the summer of 1996, another American painter, SW Florida’s own Gale Bennett, opened the doors of ArtStudy Giverny. From that year until 2009, artists from all over the U.S. and 14 other countries participated in ArtStudy Giverny workshops, staying in a lovely Normandy residence in the heart of the village, painting every day in Monet’s famous garden, experiencing the joys of true French country life. 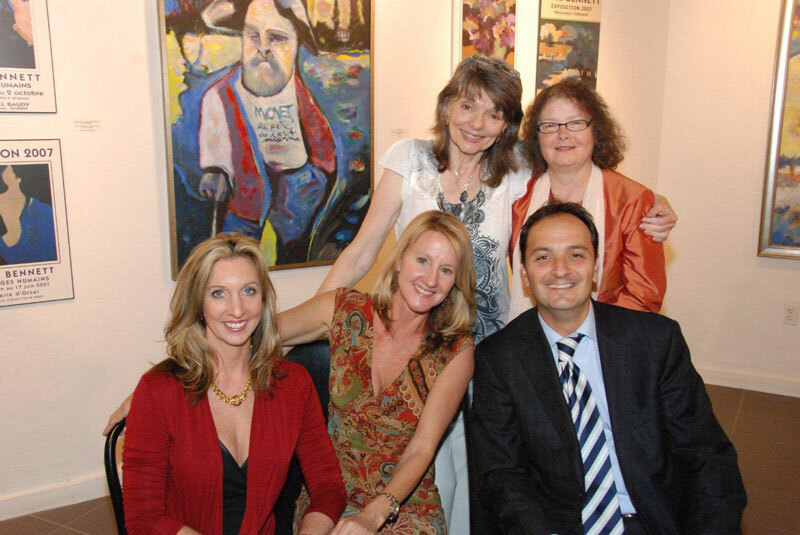 Highlights of the ArtStudy sessions were the house concerts for participants and invited French guests, featuring Gale Bennett’s wife Cello and other musical friends. 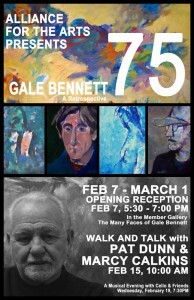 Tonight in honor of the GALE BENNETT 75 celebration, we would like to re-create the atmosphere of one of those evenings. To retain the spontaneity which was so much a part of evenings in Giverny, there is no printed program listing selections to be performed. All our musical selections will be announced, explained, and/or translated as necessary for your listening enjoyment. Our special thanks to the Alliance for the Arts and to Theatre Conspiracy for their support of this project. Thank you for joining us tonight for our musical potpourri celebrating the joy of song in its many manifestations. Pavarotti’s technique teacher, Maestro Arrigo Pola, in Modena, Italy, Cello sang opera in several theaters in Germany, where she was privileged to work with internationally known stage directors Peter Mussbach and the late Herbert Wernicke. Cello, a specialist for contemporary music, gave the European premieres of works by such noted composers as Wolfgang Rihm and David Diamond. She also performed in concerts in France, in Luxembourg, and more recently in Southwest Florida. 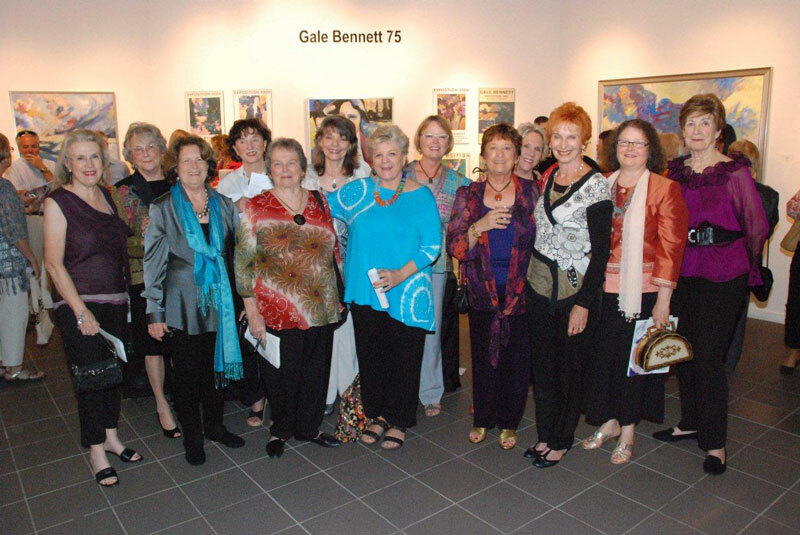 At ArtStudy Giverny, founded by her late husband, artist Gale Bennett Cello often entertained workshop participants with musical evenings, and continued the tradition in SW Florida with “Musical Evenings“ at both the Alliance for the Arts, Fort Myers, and BIGARTS, Sanibel. CARLENE THISSEN is a singer, songwriter, and author. Her love of the agricultural town of Immokalee and its immigrants inspired two of her books: Immokalee’s Fields of Hope and Called From Silence: The Father Sanders Novel. When a friend wanted to make a documentary based on Immokalee’s Fields of Hope, Carlene wrote her first song, “Take These Hands.” Since then she has dedicated herself to songwriting in addition to her work as Coordinator of a Farm Labor Supervisor training program at the University of Florida in Immokalee. Originally from New Jersey, Carlene’s greatest joy is singing – folk, country, religious, and classical. She sings with a female trio called “Chicapella,” performing regularly at venues around Naples. She also visits Nashville several times a year to sing her original music at singer songwriter rounds, waiting for that one big hit! JUDY RICHEY is making her fifth appearance as pianist for “A Musical Evening.” Judy has been the accompanist for the popular vocal ensemble “Vocal Artistry” since its inception. Audiences appreciate her musicality and ability to play any style of music from classical, to pop, jazz, and even gospel. Judy is a graduate of Toccoa Falls College with a degree in Music Education. She has been the elementary music teacher at Evangelical Christian School in Fort Myers, FL for 27 years, and also holds the position of pianist for North Shore Alliance Church in North Fort Myers. In addition to giving instruction, Judy is a sought-after accompanist for countless local school productions, concerts, and competitions. JENNY HAYDEN, soprano, is equally at home in concert and opera. In Germany Jenny delighted audiences with performances of Die Fledermaus, Gianni Schicchi, Hansel und Gretel, and many others. Since returning to the U.S., she has concentrated on recital and chamber music, in numerous festival appearances with the chamber music ensemble “An die Musik.” She was also guest narrator in their performance (available on CD) of the world premiere of Matthew Kajcienski’s Rumpelstiltzkin. Jenny has appeared at Marlboro Music Festival, Aspen Music Festival, Chautauqua Opera, and various other venues around the U.S. At the Eastman School of Music she received a grant to study in Paris with venerated French song specialist Pierre Bernac. She credits her passion for recital repertoire both to him and to Jan DeGaetani, with whom she studied while working for her Master’s degree. 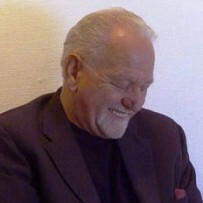 IRWIN DENSEN, bass, got his first great career boost singing Banquo in Macbeth at the Cincinnati Summer Opera Festival – one invitation he received was to join the Metropolitan Opera Studio. A member of New York City Opera for over a decade, he also performed with many other American companies, including Opera Company of Boston, Dallas Opera, Florentine Opera, Florida Lyric Opera, and Gold Coast Opera. Summer festivals include the Caramoor Festival, Spoleto Festival, and Glimmerglass Opera Festival. “Sandy,” as he is known to friends and family, has appeared in opera telecasts from Lincoln Center and the Spoleto Festival. Principal repertoire includes Dr. Bartolo in The Barber of Seville, Sarastro in The Magic Flute, Ramphis in Aida, Baron Ochs in Der Rosenkavalier, Raimondo in Lucia di Lammermoor, and Sparfucile in Rigoletto, as well as Emil DeBecque in South Pacific and Henry Higgins in My Fair Lady. In his Israel Philharmonic debut, he sang the Sacristan in Tosca, under the baton of Antonio Pappano. RACHEL COX, violinist and violist, has been a member of the SW Florida Symphony since 1998, holding several positions, including principal viola, principal second violin, and acting assistant concertmaster. She has performed with the Naples Philharmonic, Charlotte Symphony Orchestra, Dayton Philharmonic Orchestra, and is a charter member of the Isabella Stuart Gardner Museum Chamber Orchestra. Rachel holds a Bachelor of Music degree in Viola Performance from the New England Conservatory in Boston. Performance credits include performing in Carnegie Hall under the baton of Michael Tilson Thomas, and two PBS nationwide broadcasts as a member of the Naples Philharmonic under Erich Kunzel. In 2002, Rachel started the music scholarship at FGCU that ultimately led to the formation of the Bower School of Music. In 2010, Rachel published A New Era: A History of the Southwest Florida Symphony Orchestra, which was written to commemorate the 50th anniversary of that orchestra and is the basis of a short documentary.